Is it time to lose some weight? With diesel, machinery and labour costs eating into squeezed margins, is it time to consider whether we really are better off using bigger and invariably heavier machinery? Jane Carley gets some practical tips on managing weight and looks at the latest soils research. As tractors and harvesters get bigger, and running costs higher, the impact of machinery on the land comes increasingly into question. 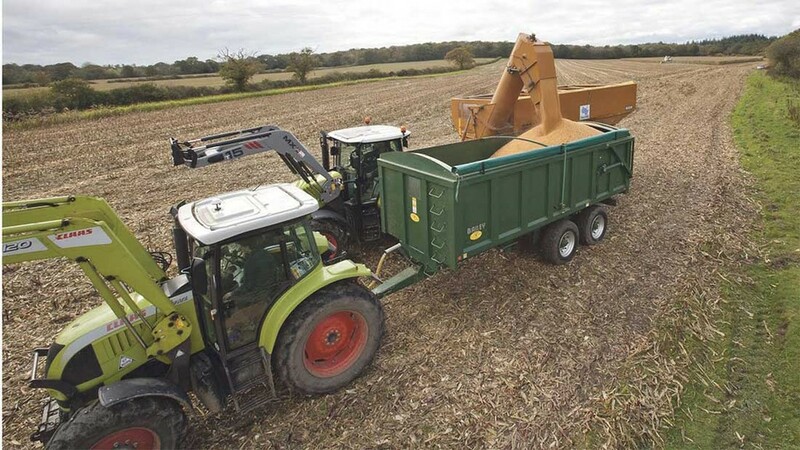 While a bigger harvester may boost workrates and cut harvesting costs per acre, those costs may increase the following season with extra diesel needed and extra hire or contract costs for soil restructuring equipment. Compaction can also lead to lowered yields. Soil specialist Philip Wright considers the dilemma. “Tractors need weight to transmit power, and more power implies more weight. Managing ballast correctly is key, as when power is transmitted by speed as well as pull, then weight is less important. It is also worth considering if all the power is needed, or used – for example when using a prime mover for secondary operations. Weight applies more load and pressure to soil. “Load pushes the problem deeper, and pressure determines the severity of the damage. In all cases, severity is worse when soils are wet or damp, and when they are very loose (after extensive cultivation). So, minimising weight and pressure at these times is crucial,” says Mr Wright. He adds it is also a good idea to reduce the risk of soils being too wet to work by addressing drainage. But when application timings are crucial or there is a need to hit deadlines for planting or harvesting, it may be impossible to avoid taking machines onto wet soils, he adds. “If it is damp then it is vital to reduce loadings and pressures. Delayed drilling (to a point generally when soils are wetter in autumn), for example, has become popular to help control grass-weeds. But spring drilling is the ultimate in delaying, and here soils are on a drying cycle. Avoidance is far better than cure, so controlling traffic helps here – putting damage in known areas to avoid needing to extensively cultivate for example, he says. Tracks and LGP tyres do help, as when correctly used they reduce applied pressures and hence severity of damage. “More pressure implies more squeezing of the soil – hence loss of porosity. But this is not the complete solution, as applied weight as is also critical. “In addition, well-structured, aggregated soils can support heavier loads before incurring severe damage. Those with higher levels of organic matter have more resilience. “Equally, if soil disruption can be reduced, the risk of compacting loose soil is less, and structurally stable soil blocks/columns/large aggregates should be the aim. So, if needing to restructure a problem, it is vital to retain supportive columns to take subsequent traffic. Digging holes to check the depth of cultivation needed is an absolute necessity, he says. “Not digging is a bit like driving a car and not looking out of the windscreen at where you are heading. How can soil be loosened, if it is not known where the problem depth is, and if the solution has been done effectively? A review of recent traffic systems research by Harper Adams University, CTF Europe, the Slovak University of Agriculture and NIABTAG has concluded that, with sufficient ingenuity by farmers and their equipment suppliers to match operating and wheel track widths, traffic management systems which reduce soil compaction should improve crop yield, reduce energy consumption and improve infiltration rates (which will reduce run-off, erosion and flooding). These together will improve the agronomic, economic and environmental sustainability of agriculture. Low ground pressure alternatives may well be the option which best suits some farming enterprises and should not be discounted as viable traffic management methods. The paper also considers the implications for further work to improve the robustness of the experimental data. Research goes back to the 1970s when it was found 95% of a field growing spring barley was covered by wheel marks during crop establishment. In the 1990s GPS technology was used to show 85%, 65% and 42% of the field was randomly tracked by at least one wheel pass in conventional, min-till and no-till systems respectively, suggesting there could be benefits to controlled traffic farming (CTF) practices, using set wheel ways with equipment widths and wheel track spacing matched. Cultivating Solutions has developed the Independent Leg System (ILS), designed to allow the adjustment of working depth of individual cultivation elements across the working widths. The company’s cultivation range features low disturbance soil-loosening legs mounted on a hydraulically depth-adjustable toolbar, allowing alteration of depth from the tractor cab, on-the-move, of all the legs. ILS is designed to control leg depth at an individual leg basis if required, giving greater control of working depth across and within the working width of the machine. It allows working depth to be adapted to soil conditions based on the requirement of that particular worked area of the machine. CTF systems are likely to be where the most demand for the system comes from, Mr Scholes says. “Legs on the machine which are in the direct line of the tractor wheels – the area which has suffered traffic damage/compaction – can be operated at a greater depth than those working across the remainder of the width of the machine where there has been no traffic/compaction. These legs can be removed from work completely if required. 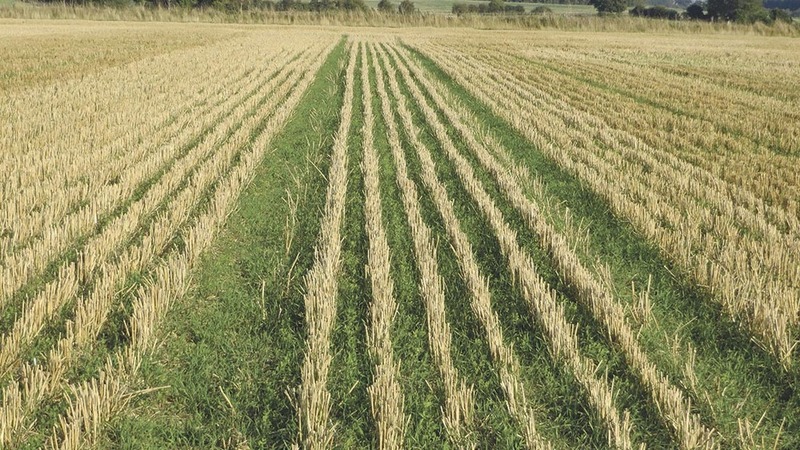 In a CTF system there is also a growing requirement to avoid soil loosening in the tramlines in order to keep a tramline as a firm/solid soil zone, particularly with the use of permanently located traffic ways. The ILS system allows legs located in line with the tramlines to simply be raised from work. These benefits were demonstrated by further trials, including improved crop yields, reduced tillage and crop establishment energy, and improved soil conditions and infiltration of rainfall/irrigation water. Infiltration has been shown to increase from 5mm/hour for random traffic farming systems to 18.5mm/hour for a controlled traffic system. An alternative to CTF is the use of lower ground pressure systems using tyre technology which allow the carcass to flex and be operated at lower inflation pressures. Yield responses of 7-35% from using controlled traffic systems were reported by Tim Chamen, of CTF Europe, in a number of studies on different crops; replicated studies followed from 2007-2011. The studies at Cranfield University in conjunction with TAG showed a 15.5% and 16.4% improvement at two depths of tillage where all traffic was removed from the field plots and a 12% and 5.5% improvement where machinery operations were confined to a rubber tracked vehicle. 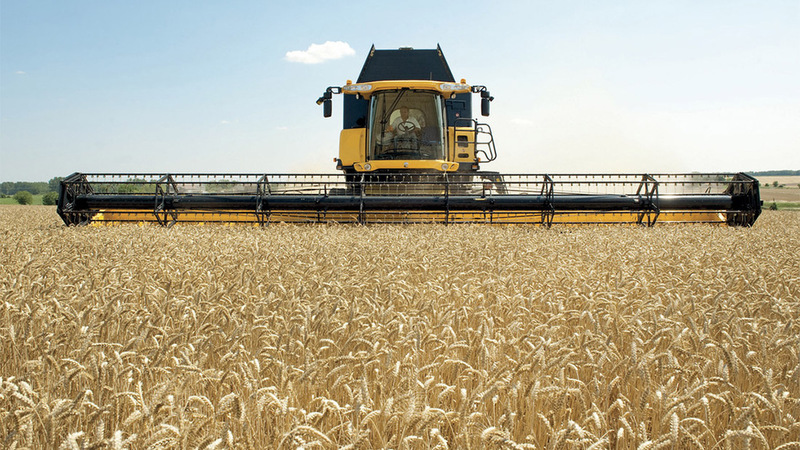 The Slovak University of Agriculture took 18 yield samples from four traffic conditions from CTF to randomly-trafficked, and showed ‘no traffic’ treatment had advantages for all crops and seasons, with spring barley showing the greatest difference followed by maize and winter wheat. Harper Adams looked at the influence of tillage system choice, using CTF, low ground pressure and random traffic management. Mean controlled traffic yields were shown to be significantly higher (0.5 tonnes/hectare or 7%) than random traffic yield, with low ground pressure systems in the middle. The authors point out it is important to understand the underlying soil variation, both in experimental work and on-farm, as some soils, especially sandy loams may not improve their structure from lower traffic impacts alone. They add the soil conditions which provide optimal crop development must also be considered as well as machinery system choice. 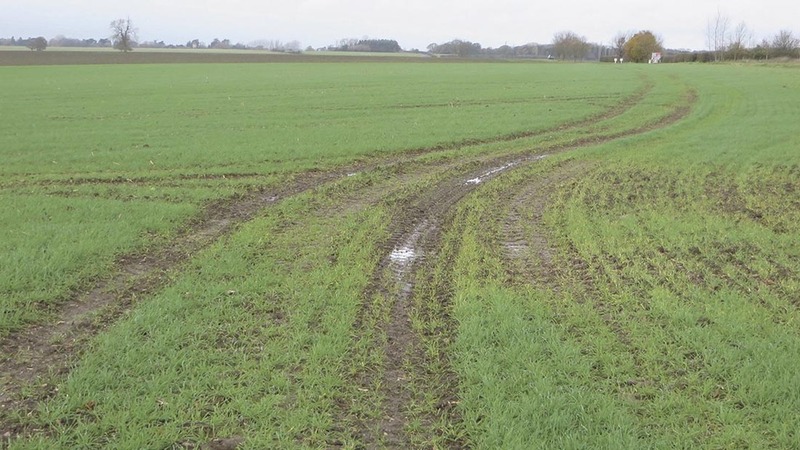 Further studies are needed to investigate the benefit of improved management of wheel traffic lanes especially for no-till systems and in wet conditions – poor yield in traffic lanes affected the performance of the zero tillage treatments in the Harper Adams study. The authors also suggest evidence that is building with respect to improved soil management which should encourage researchers to work with equipment manufacturers to provide fully integrated CTF-compatible mechanisation systems. Professor Richard Godwin, part of the Harper Adams team, says: “The ultimate system for reducing the adverse effects of field traffic, namely CTF, exhibits benefits in the form of improved crop yields, reduced energy inputs and improved soil infiltration characteristics. Joe Dugdale is one of the first customers to trial the ILS on a Cultivating Solutions RapidLift attachment fitted to his four-metre Vaderstad Rapid drill this autumn. Crathorne Farms, near Yarm, Cleveland, is moving to a CTF system, and the ILS is being used to divide the 600 hectares of arable land between the tramlines and the main body of the field. An electronic control box activates the leg movements via the hydraulics for each set of legs. Next: Talking Policy with Mike Hambly: A New Year as challenging as ever?